Many think that tooth decay in Lawrence and everywhere else is just attributed to bad dental hygiene. 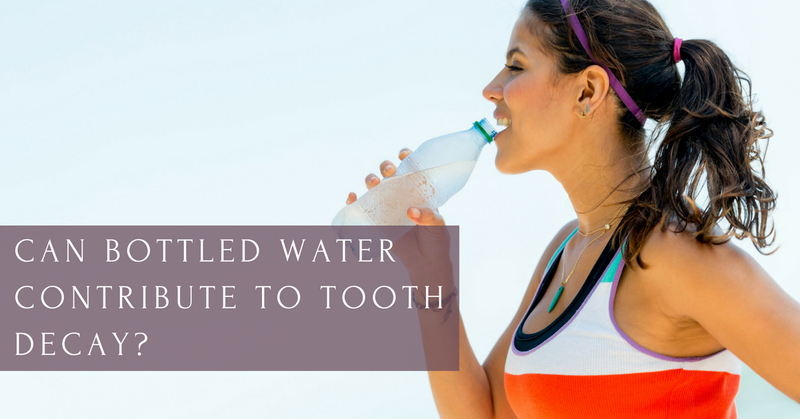 While that may be so, renowned dentist Dr. James F. Otten talks about a probable source of tooth decay that you may have overlooked: bottled water. Tooth decay occurs when plaque, a sticky substance comprised of food residue, bacteria, sugars and acids, accumulates in your mouth. The plaque buildup then attacks your tooth’s enamel, which is its hard surface or outer covering. Over time, the enamel breaks down from the plaque attacks, which results in tooth decay. Plaque buildup can be easily remedied by regular tooth brushing, flossing and oral prophylaxis. You can also avoid tooth decay in Lawrence by paying closer attention to what you eat and drink. For instance, consider bottled water. Water is a staple that provides sustenance, so much so that many homes all over the country keep bottled water on hand and always available. However, Dr. Otten offers a different viewpoint: that the majority of bottled waters are actually acidic in nature. In a recent Facebook Live video, Dr. Otten talked about how bottled waters are processed and during that process, their nutritional values are stripped away. Furthermore, he noted that some popular brands of bottled water – including Dasani, Penta and flavored waters like Propel – fall on the acidic end of the Ph spectrum. The higher the pH, the better, as lower pH is more acidic. When you drink a low-pH drink, it is like making your teeth take an acid bath, which damages enamel. According to Dr. Otten, tap water in most states contains more nutritional value in comparison with bottled water, plus the extra benefit of fluoride. So if you want to avoid tooth decay in Lawrence or wherever you call home, it would be a wise decision to regularly brush and floss your teeth, as well as have bi-annual checkups with your dentist. Also, avoid bottled water – you’ll reap more benefits by drinking tap water anyway. If you want to learn more about how to take care of your teeth, visit James Otten Dentistry in Lawrence, link.